Ryutaro Asada was the chief surgeon of Team Medical Dragon, a globally active emergency medical care team that worked in refugee camps. 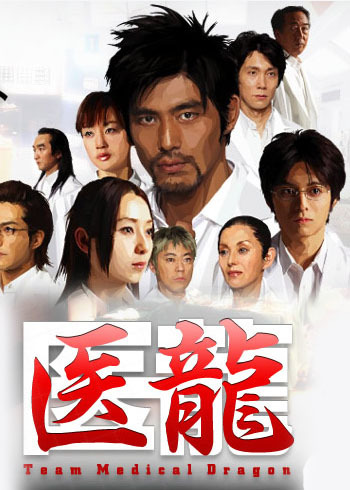 After his return to Japan, this amazingly talented surgeon starts work at a university hospital, where he uncovers one case of corruption after another and takes on a lot of powerful contenders in this heroic drama. The struggles between the hospital and the patients, the infighting among the hospital staff, and the patients who get involved in those struggles are all depicted in a realistic manner in a drama that has an overwhelming feeling of speed. Here’s a human drama depicting a thrilling battle between life and death, a totally new, outstanding form of entertainment. Jamila Oyangwa Jun 13 2017 6:44 pm This movie series has made me cry a lot. I learned so much from watching it. It's really inspiring. If we could only achieve that goal, life will be a lot easier for everyone. daisy valdez Sep 22 2014 3:41 am great drama.good execution of actions.asada and arase acted like real one!